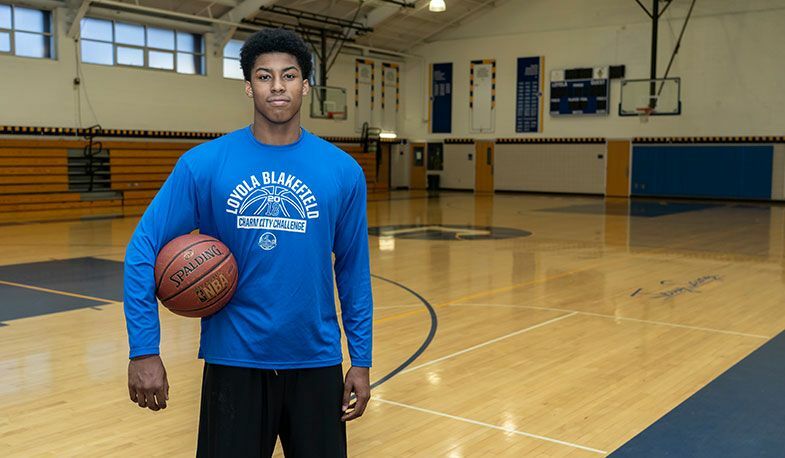 Tryllian Young '19 of our varsity basketball team was named Student-Athlete of the Week for Dec. 26 – Jan. 2. He averaged 14 points and 6 rebounds while shooting 52% from the field and 50% from the three-point line during a three-game tournament in Atlanta, GA, over Christmas break. He was also named to the All-Tournament Team. "Tryllian is a great leader for our team," said Coach Davalli. "He is fully invested in what the team needs to do in order to win, and he plays with a mental and physical toughness that the other guys want to try and emulate."